Many small items of daily use have become the decor piece. One such item is 26588 METAL EASEL that can be used to display important photographs and important notices. 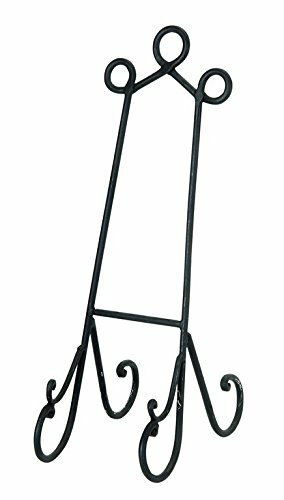 Size: 19 Inches High, 6 Inches Wide Material: Rust free premium grade metal alloy Color: Black A class apart decor addition; Designed for elite class decor enthusiasts; Classic space filler that attracts everyone.